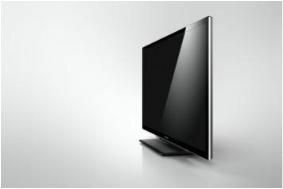 CES 2011: Panasonic's 2011 3D TV range to include two LCD models | What Hi-Fi? Sensibly, rather than compete with the company's plasmas, the two LCD models will be smaller, at 32in and 37in, and are designed to appeal particularly to the gaming market. The two models, known (at least in the US) as the TC-L32DT30 and TC-L37DT30, will boast LED backlighting, 240Hz Motion Picture Pro 5, and Viera Connect. Of course, plasma isn't going anywhere. In fact, there will be twelve 3D plasmas in the 2011 range, up from eight last year. They're going to be available in new sizes, too, with 55in models replacing the 54inchers of last year and 58inchers going up to 60in. There will be three ranges, starting with the ST30 series and rising to the top-of-the-range VT30 series, with the GT30 series sitting in between. Panasonic claims this year's 3D plasmas will have deeper blacks, brighter whites and colours, better power efficiency and less crosstalk. UK pricing and availability hasn't been announced, but we expect to get it as Panasonic's European press event approaches in February.